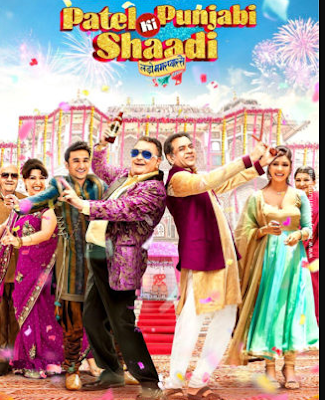 Hi guys, we are sharing here new post related to Bollywood upcoming Indian Hindi romantic comedy film.This time we are sharing information of Rishi Kapoor and Paresh Rawal upcoming movie Patel Ki Punjabi Shadi, release date, star cast details & story plot. Patel Ki Punjabi Shadi is Bollywood upcoming film. It is directed by Sanjay chhel and produced by Bharat Patel and kalapi nagda. Rishi Kapoor and Paresh Rawal are the main lead role and another star cast Vir Das, Payal Ghosh and Prem Chopra, Rishi Kapoor and Paresh Rawal will be seen together for the first time in 20 years. This film which bean production in 2014. "Gujarati hai na andar se ban'na padta hai, andar se ........... koi khaadi pehan'ne se Gandhi nahi banta aur bhes badalne se koi Gujarati nahi banta"
"Yeh joh mummy daddy hote hai na, inko zyada paas nahi aane dena life mein ......... problem ho jaati hai"